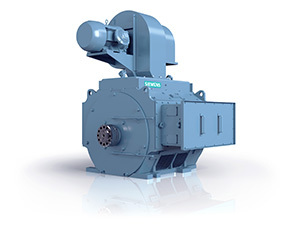 Global Energy Solutions, LLC is leading the industry in providing sales and service of our electric motors, controls, pumps, gearboxes, switchgear, parts and much more. Our full service electric motor repair capabilities along with our value added field services such as laser alignment, vibration analysis and variable frequency drive support allow us to offer 24/7 sales and support to our valued customers. Our mission is to provide our customers with the highest quality products with exceptional customer service and support, all at a competitive price. Global Energy Solutions has over 60 years of combined expertise in our field. We specialize in product sales and service to a wide variety of industries in the United States as well as worldwide including but not limited to oil & gas, wind, municipalities, utilities, aggregate, pipeline, refineries, food/beverage and manufacturing. At Global Energy Solutions we believe in our people, our products and our services. Our staff of dedicated professionals is committed to providing cost effective solutions that meet your individual needs. We look forward to doing business with you! 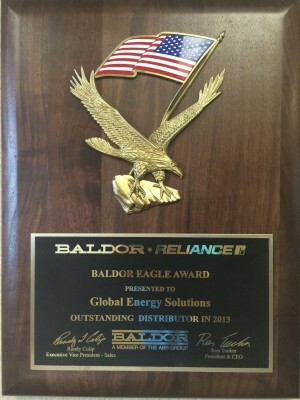 Global Energy Solutions received the Baldor Eagle Award for Outstanding Distributor in 2013.